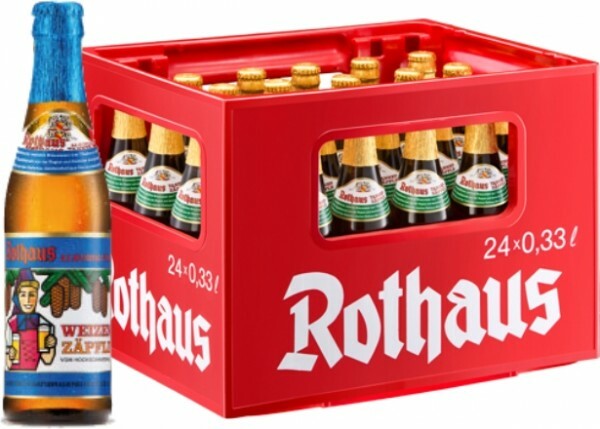 Product information "24 x Rothaus Hefeweizen alcohol free 0,33 L"
Finest wheat malt, noble aroma hops from Tettnang and the Hallertau and brewing yeast from our own pure culture make a brilliant career at Rothaus also in the non-alcoholic wheat beer variant. The perfectly matched ingredients inspire as well as artisanal sophistication of Rothaus brewmaster. Related links to "24 x Rothaus Hefeweizen alcohol free 0,33 L"
Customer evaluation for "24 x Rothaus Hefeweizen alcohol free 0,33 L"